Although the most important international motorcycle show was in Munchen, Germany this year, we decided to miss that one and were attracted to the Moto Show in Bologna, Italy. We just like Italy, its people, food, and motorcycles. Upon arrival in Bologna it was easy to find the bus that took us to downtown Bologna. Finding the hotel on foot took a bit longer, but through the maze of narrow streets we eventually succeeded after Susan asked for directions. After a quick check-in and parking the luggage in our room, we were off because it was Sunday afternoon and all of Bologna was window shopping and socializing. Great atmosphere, calm, friendly, and respectful, Grandmas walking with their daughters, Grandpas with their grandchildren, old men together, lovers of all ages, and they were all talking, smiling and radiating compassion and love of life. We liked that so much and felt like good students learning this Italian art. Insalata peperoni, risotto, spaghetti bolognese and fruit tart was what we shared for dinner and it was so good! Monday morning we got up early, had a good breakfast at the hotel picking from five kinds of bread, tasty cheese, mild ham, butter, yogurt, fruits, fruit tarts, coffee, tea and fruit juices. None of that plastic wrapped Danish stuff here that we had to put up with in the U.S.A.
We bought a city pass for the bus and we were off to the Fiera, to a combined car and motorcycle show. We first encountered BMW's stand and it was impressive. Susan liked the 650 Scarver a lot, very daring, very BMW. Lancia was next. What beautiful and elegant models! Yes, the cars were admired too, excellent paint and finish. Rover, MG, and Mini Cooper were all nice and sporty. Fiat displayed plenty, especially the Berghetta sportscar which was very attractive and fit us well. Fiat is in financial trouble however, and was preparing for massive lay-offs which can cause unrest and possible labor strikes. No wonder there was a large presence of riot police and carabinieri, but all stayed calm. On to Alfa Romeo, an extremely interesting hall with historic race engines and race cars. Beautiful stuff, their new cars are good looking, too. Outside was sudden excitement, the sound of roaring engines attracted much of the public to the track where Formula race cars were running fast laps. Another section outside had a tough off-road course where Nissan let the interested public drive their 4-wheel-drive cars and trucks, quite a display of confidence and performance. Back inside to the motorcycles. KTM was now ready with the 950 Adventurer. Aprilia showed the ugly Tuono, and more interesting was the 650 Pegaso with a team of two charming women who rode it from Tuscany to Tibet. Neat! Laverda was not just doing scooters, but was also getting into the ATV game and showed off the new SFC 1000. Not the expected 3-cylinder, but with a Rotax-RSV Mille based V-twin. How many more 130 plus horsepower sportbikes does the world need? Curious if they will put it into production, Aprilia as a parent company would complete against its own line of sportbikes. Somewhat surprising. Honda of course showed its full range of scooters and motorcycles, but the interesting part was the display with Valentino Rossi's Moto GP racer and Colin Edwards' Superbike. Ducati showed off the Multi Strada, 999's and the all new Moto GP 4-cylinder, pretty special stuff. Alright, now to the section we really came for: Moto Guzzi, a very large and well arranged stand with historic four cylinder racers, including the V-8, prominently displayed on one side. 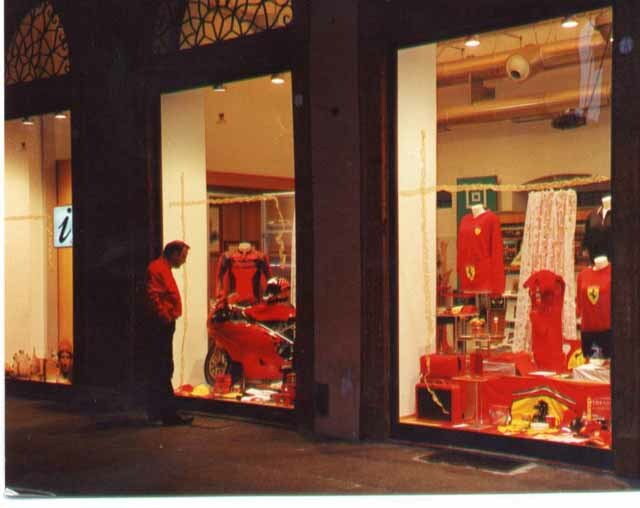 A V11 section with Sports, Cafë sports and Sport Ballabio's, then a LeMans section, including an all red V11 LeMans and the Rosso Corsa, a California section with eight different ones and the Nevada 750 and Club. 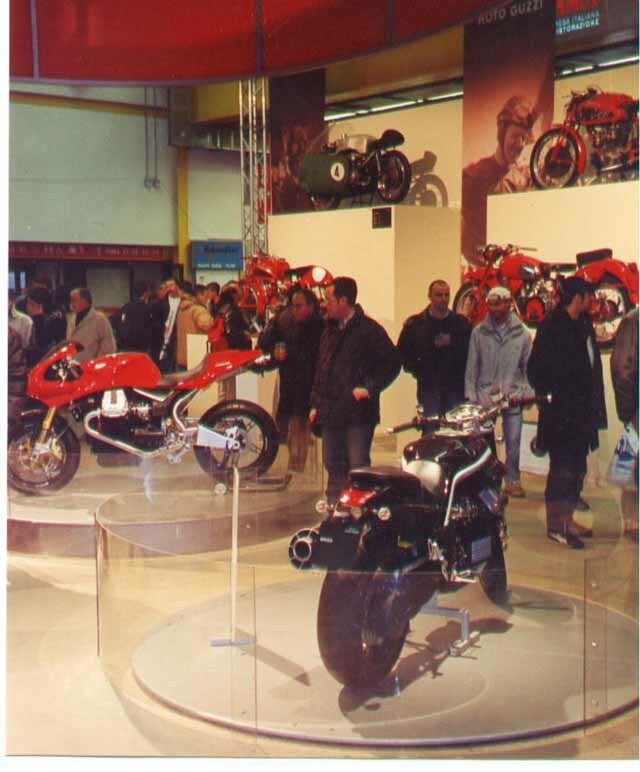 Highlights were the Grisco (Guzzi V-max) and the MGS/01, both with Daytona 4-valve style engines. 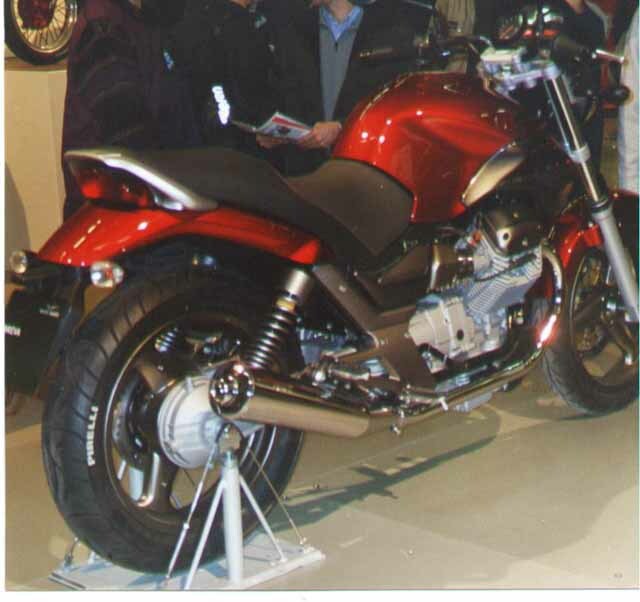 The MGS/01 was very elegant and good looking, yet still retained Guzzi's simplicity. Outstanding job indeed! The all new 750 Breva was there, out of reach on a rotating platform. They were very handsome and practical looking machines in beautiful colors. 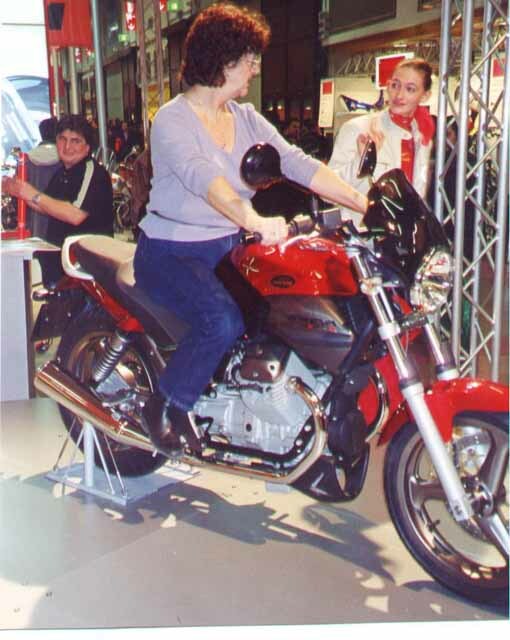 The Guzzi-man in charge allowed Susan to sit on one as we came all the way from Texas just for the Breva! She felt very honored. The Breva fit Susan well and one will definitely come into our stable as soon as they reach the U.S.A.
Also part of Moto Guzzi's exhibit was an electric shifting model and a nice apparel store. Good show! It was Susan's birthday, so we celebrated with a grand dinner of tortellini soup, tagliatelle, oven baked veal in cognac, steamed vegetables, homemade ice cream, excellent wine and tasty cappuccino. The next day we hopped on the bus to Borgo Paginale. The bus driver told us where to get off for the Ducati factory. We got a private tour, just the two of us, and a very good English speaking lady-guide. We learned a lot about Ducati's production of 100 Monsters, 70 Super Sports and ggg's and 30 S2/S4 models each day. There were different assembly systems for these three groups. Every engine was completely built by just one person, every engine was cold-tested for seven minutes before installation with a 2% correction average. 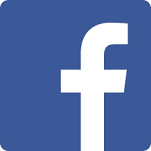 Every motorcycle was dyno-tested for about six minutes and ran up to one hour for emission testing. The museum was very impressive, but showed only racers except for the Cucciolo, the massive Apollo, and the current crop of street bikes. Nevertheless, I drooled over this stuff till they were ready to close for lunch and we had to leave. The remaining days we spent admiring Bologna with its many grand palaces, numerous majestic churches, proud towers, and beautiful archways everywhere. Some of the churches date back to the 4th century and Bologna's university is Europe's oldest, from 1088. So much history, so much art, all easily accessible without tourist crowds and free of charge! Yes, Bologna surprised and enchanted us and we favor it over Florence, Milan, and Venice.